Global pollution is a serious problem, and the use of vehicles all over the world, especially in big cities and towns, contributes greenhouse gases (GHG), such as carbon dioxide (CO2), carbon monoxide (CO), nitrogen oxides (NOx), and sulphur oxides (SOx) that cause global warming. The future lack of energy brings about the search for an eco-friendly, biodegradable, sustainable, and cost-effective biofuel from renewable carbon sources of various organic sources using facultative or obligate anaerobic bacteria, including, but not exclusively, Clostridium, Enterobacter, Bacillus, and Escherichia coli. Amongst the biofuels, hydrogen production via a natural and green biological pathway, namely dark fermentation (DF) or anaerobic fermentation, in the midst of certain other techniques, viz. 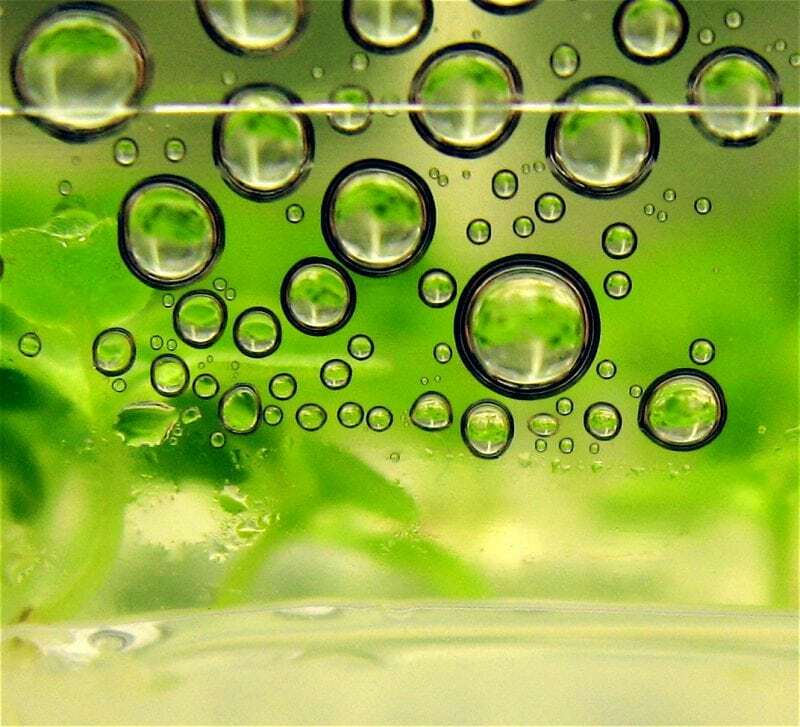 water-splitting photosynthesis, photofermentation, and electro fermentation from both renewable and non-renewable sources, is highly promising because of its clean burning properties and its use in transportation and power generation sectors. Currently, organic carbon sources from third-generation feedstock, namely macro- and microalgae, have been considered as more viable substrates, as their feedstock price can be greatly reduced by using the biomass obtained from wastewater treatment or lipid-extracted biomass from the biodiesel industry than the lignocellulosic biomass (LCB), since it is challenged by both the nature of the biomass and the pretreatment process. Further, the green algal [Fe–Fe] hydrogenases are very efficient, with high turnover rates of 6000–9000 s–1, making microalgae an attractive source for hydrogen production. We look at the recent advances in hydrogen production by DF for feedstocks, reactor design, and other possible green processes. The production of hydrogen from industrial wastewater is considerably subjected to the type of inoculum, composition, and nature of biodegradability. The pretreatment techniques are categorized into physico-mechanical, viz. extrusion and pyrolysis, physico-chemical (viz. steam, ammonia fiber, and CO2 explosion, hot water, wet-oxidation, sonification, microwave imposed, chemical via ozone, acid, or alkaline, oxidative delignification, organo-solvation, ionic liquid) and enzymatic pretreatments, among which physico-chemical and chemical treatments are considered to be the most proficient techniques. Optimal pretreatment methods must achieve high sugar recovery, chronological fractionation of biomass, the formation of co-products, negligible formation of inhibitors, applicability to a wide range of feedstock and cost-effectivity. The hydrogen production rate and yield from pretreated algal biomass were about 62 mL/L-d and 9.5 mL/g VSadded, respectively. In the case of wastewater treatment for efficient hydrogen production, the bioreactors, namely CSTR (Continuously Stirred Tank Reactor), ASBR (Anaerobic Sequencing Batch Reactor), CSABR (Continuously Stirred Anaerobic Bioreactor), CIGSBR (Carrier-Induced Granular Sludge Bed Reactor), and AGSBR (Agitated Granular Sludge Bed Reactor) were developed for the production of dark fermentative hydrogen. It was predicted that UASB (Up-flow Anaerobic Sludge Blanket) and AF (Anaerobic Filter) reactors show some additional stable performances at a low HRT (i.e. Hydraulic Retention Time: 0.5 day), while in CSTR, operating at low HRTs might lead to biomass washout. In addition, UASB has widely been applied in laboratory/pilot-scale research. Besides, the immobilized cell systems have been developed for large-scale hydrogen production by DF, which includes physical adsorption, covalent bonding, cross-linking, entrapment, and encapsulation methods. Immobilization of Thermotoga neapolitana cells on a cationic hydrogel resulted in a hydrogen yield of 3.3 mol H2/mol glucose and a hydrogen production rate of about 50.6 mL/L/h. Immobilization of anaerobic sludge on activated carbon granules and thermophilic DF has attained a hydrogen yield of 2.8 mol H2/mol hexose. It was found that immobilization of H2-producing bacteria on calcium-alginate amalgam-activated carbon could promote hydrogen production. Further, the immobilization of Clostridium beijerinckii NCIMB8052 in chitosan with magnetite nanoparticles and alginic acid polyelectrolytes enhanced the production of hydrogen. The great potential CBP (Consolidated Bioprocessing microbes) in hydrogen production are Clostridium, Thermoanaerobacter, E. coli and Caldicellulosiruptor. The microalgal consortium obtained from wastewater with a sugar content of 28 % yielded 47 mL H2/g VS, while the leftover biomass of Nannochloropsis sp. yielded 60.6 mL H2/g dry biomass. Moreover, the COD (Chemical Oxygen Demand) rich DF effluent can be further processed by various methods for the complete recovery of energy. The integration of DF + MFC (Microbial Fuel Cells) produced 0.55 mol H2/mol glycerol from crude glycerol with 20 % COD removal. MEC reactor design is one of the critical factors which directly influence the rate of hydrogen production. It was suggested that a voltage of 0.6– 0.8 V can optimally balance the hydrogen production and energy efficiency. The pH control plays a key role in hydrogen production in MECs. MEC reactor achieved a high hydrogen production rate of 7.10 L/L/d at 1.0 V.
Recently, the membrane-free MEC was used to obtain high hydrogen recovery and production rates, at low internal resistance. The overall hydrogen production for the integrated DF–MFC–MEC was increased by 41 % when compared with DF. A two-stage hydrogen coupled methane production path produce biohythane (>10 % methane), it is a mixture of fermentative hydrogen (5–20 %) and anaerobic digestive methane (80–95 %). The two-stage hydrogen coupled methane production paths can be efficiently applied to the waste treatment, and it could accomplish higher biohythane production by favoring the hydrolytic step. It can improve the economics of biorefinery, and there is a possibility of producing a good quantity of lignin as the by-product. Lignin can be changed to aromatic-ols with phenolic skeleton through lignin depolymerization and hydrodeoxygenation in the presence of protic solvents. In the biorefinery, the formed levulinic acid can be transformed into a range of platform chemicals and value added products like resins, plasticizers and textiles. Thus, DF is an excellent path for hydrogen production when compared to other biological techniques. Integration of other energy generating systems with DF enhances the energy recovery from the substrates. The choice of the fermentative microorganisms is essential. The robust microbes with reasonable cellulolytic properties are of great demand to make hydrogen production economically viable. These results are well-illustrated and reviewed previously in the article entitled, “Biomass based hydrogen production by dark fermentation (DF) – recent trends and opportunities for greener processes,” which was recently published in the Journal of Current Opinion in Biotechnology. These findings are described in the article entitled, Biomass based hydrogen production by dark fermentation — recent trends and opportunities for greener processes, recently published in the Journal of Current Opinion in Biotechnology. This work was conducted by Gopalakrishnan Kumar (Ton Duc Thang University), Sutha Shobana (Aditanar College of Arts and Science), Dillirani Nagarajan (National Cheng-Kung University, National Taiwan University), Duu-Jong Lee (National Taiwan University, National Taiwan University of Science and Technology), Kuo-Shing Lee (Central Taiwan University of Science and Technology), Chiu-Yue Lin (Feng Chia University), Chun-Yen Chen (National Cheng Kung University), and Jo-Shu Chang (National Cheng-Kung University). 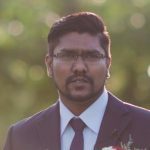 Dr.Gopalakrishnan Kumar, graduated from Feng Chia University, Taiwan and had post doc experiences in UNAM- Mexico, Daegu University- Korea, JSPS - NIES, Japan, RP& KRF-Yonsei Uni, Korea, prior to his current position. Additionally, he is also Adjunct Prof & head in Ton Duc Thang University, Vietnam. His major research area includes, Microalgae biofuel technologies, wastewater treatment, Biofuels (H2, Ethanol, CH4) production from LCB/solid waste and wastewater, Environmental Remediation & green NP synthesis.